Mt Rushmore is a national treasure and it’s obvious why when you visit. 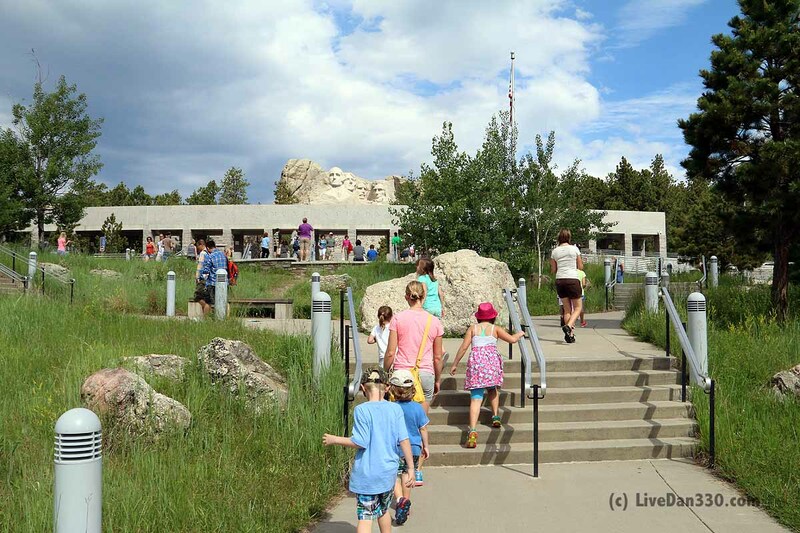 The monument is part of the National Park Service and is located just west of Keystone on highway 244 in the Black Hills. 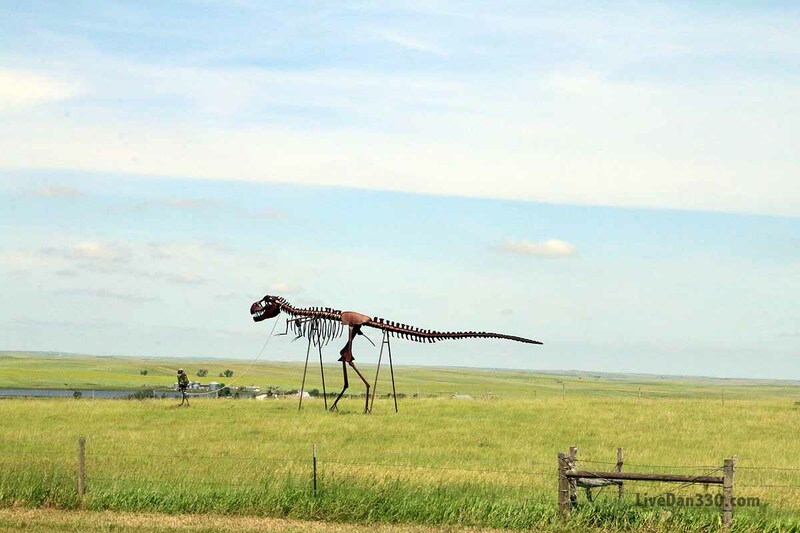 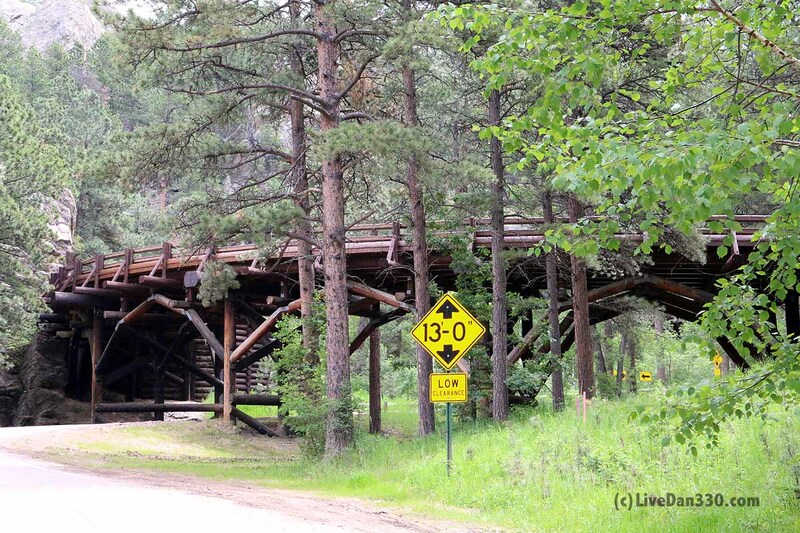 This is an easy drive from Rapid City, SD. 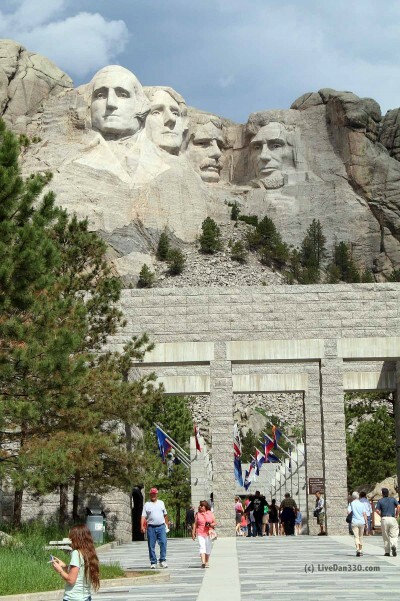 Mt Rushmore was a vision of Gutzon Borglum. 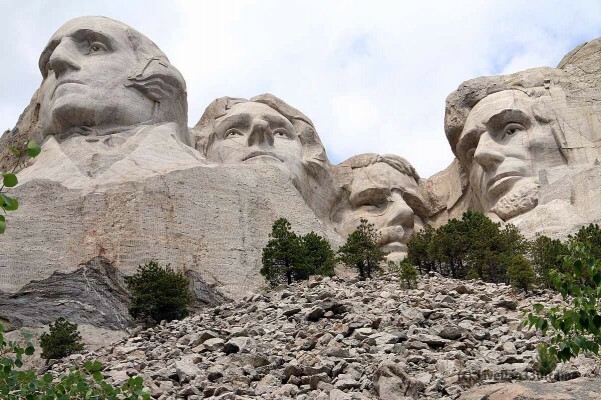 This vision came to life between 1927 and 1941 when over 400 workers began carving the monument. 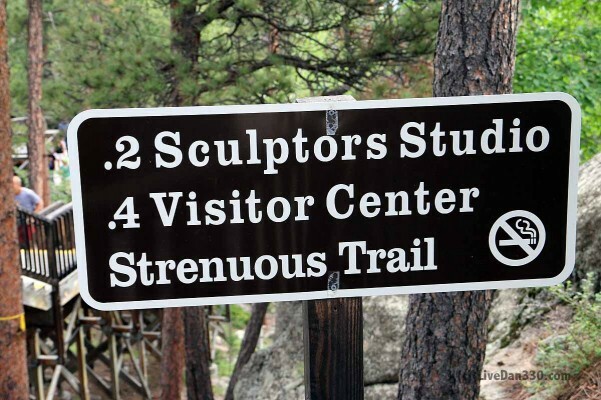 Today, the site hosts over 3 million visitors a year. 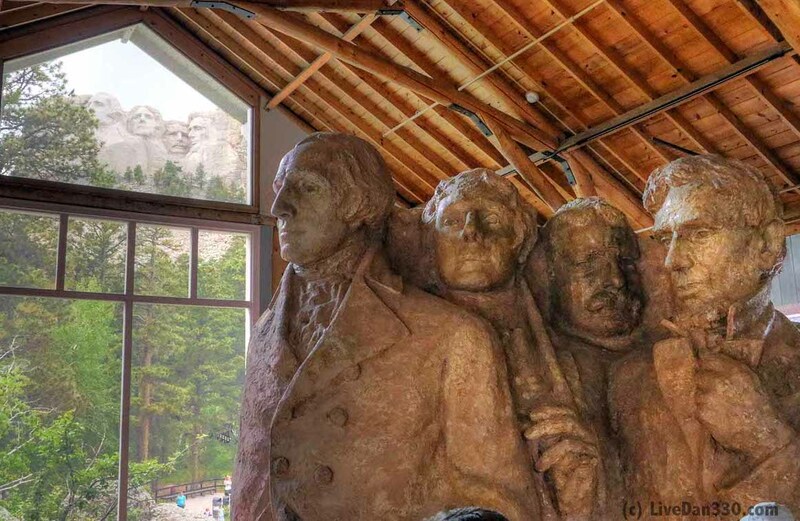 “… let us place there, carved high, as close to heaven as we can, the words of our leaders, there faces, to show posterity what manner of men they were. 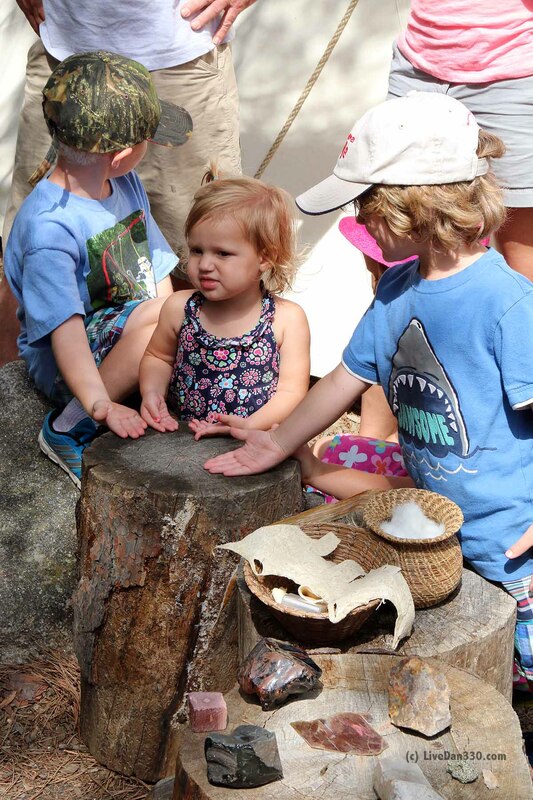 Then breathe a prayer that these records will endure until the wind and rain alone shall wear them away” – Gutzon Borglum on Mount Rushmore as cited by the National Park Service. 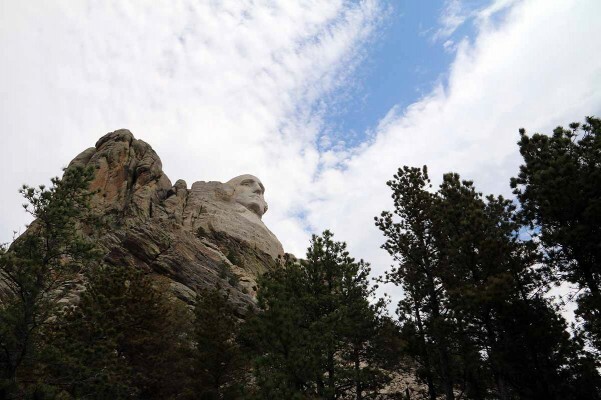 This quote, like the monument itself elegantly and reverently brings the viewer back to America’s great foundational relationship between our countries leaders, country and God during a time when we struggled as a nation through the great depression. 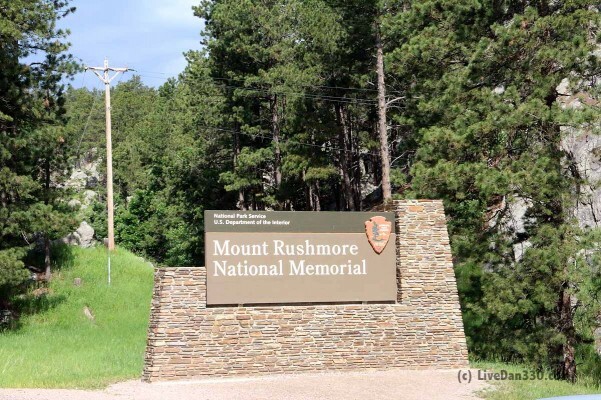 This monument surly would have stood as a sign of great hope and aspiration for America’s future during a time of struggle. Reminding us of great leaders who brought us past great struggles. 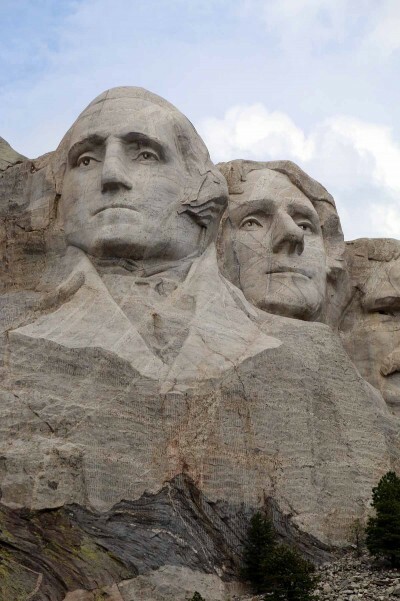 General George Washington, First President and visionary of our freedom; Thomas Jefferson, principle author of the Declaration of Independence; Theodore “Teddy” Roosevelt, a cowboy from New York who ardently campaigned for the US to engage in WWI and greatly expanded the National Park system; and finally Abraham Lincoln, the great speech giver who, historical records state, actually had a very high squeaky voice and was terrified of public speaking but saved the nation from breaking apart and abolished the evil that was slavery. 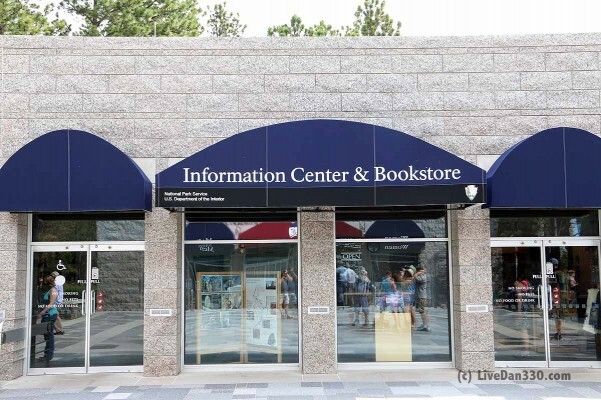 After parking, you will enter the information center, book store, and audio buildings. This is a great place to get information on the monument. 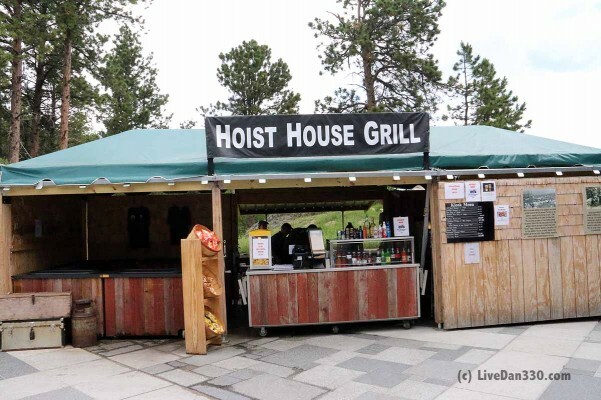 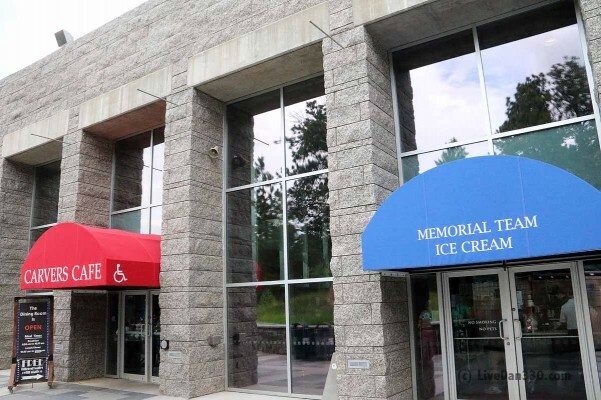 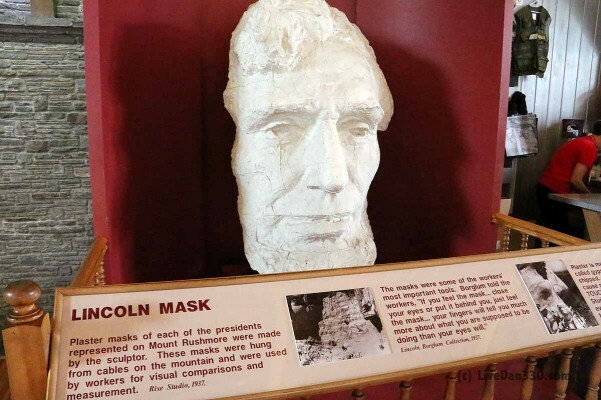 As you walk toward Mount Rushmore, which is in full sight by now, you will pass a gift shop on your left and a cafe and ice cream shop on your right. 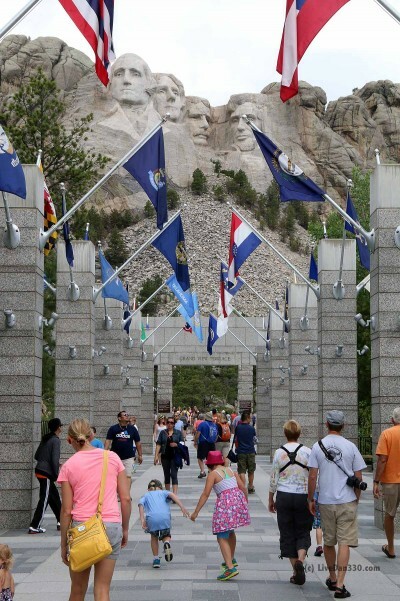 Passed this, you walk through the Avenue of Flags. 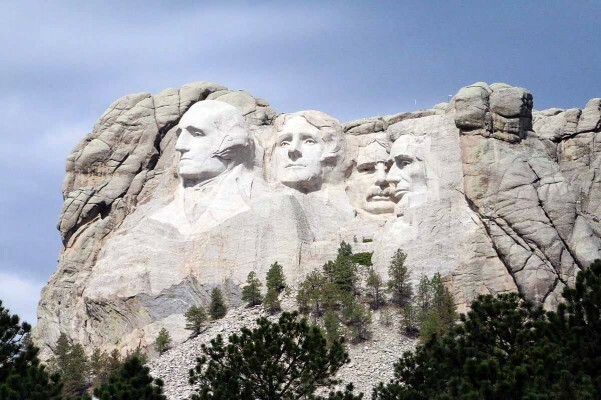 By the way, the states are alphabetical, not in order of statehood. 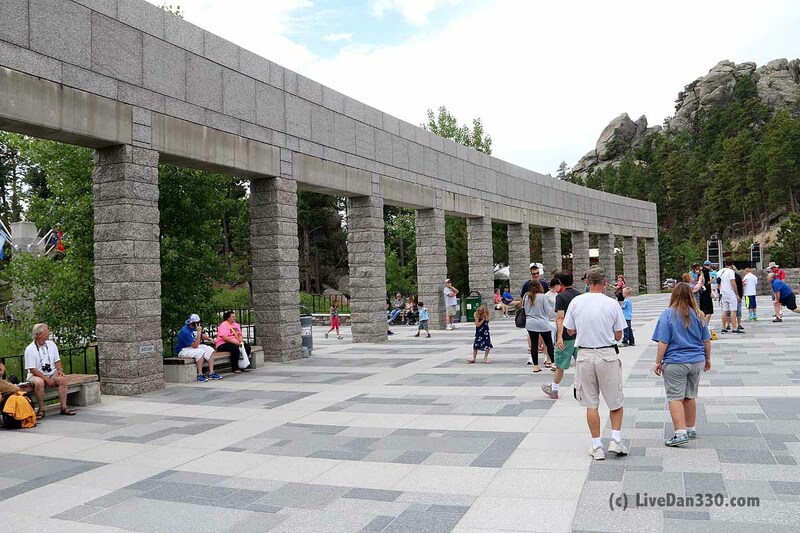 After passing the Avenue of Flags, the space opens up into the Grand View Terrace. Like you would expect, it is a huge open square focused on Mount Rushmore. 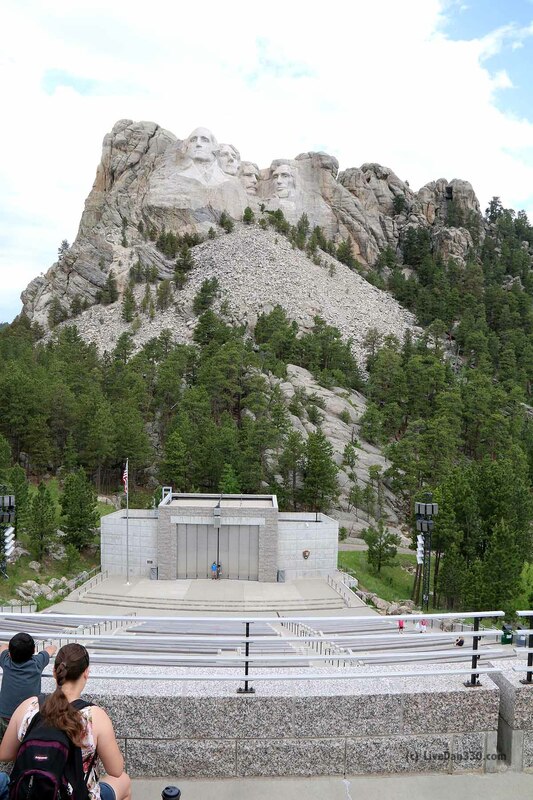 Below the terrace is a large amphitheater. 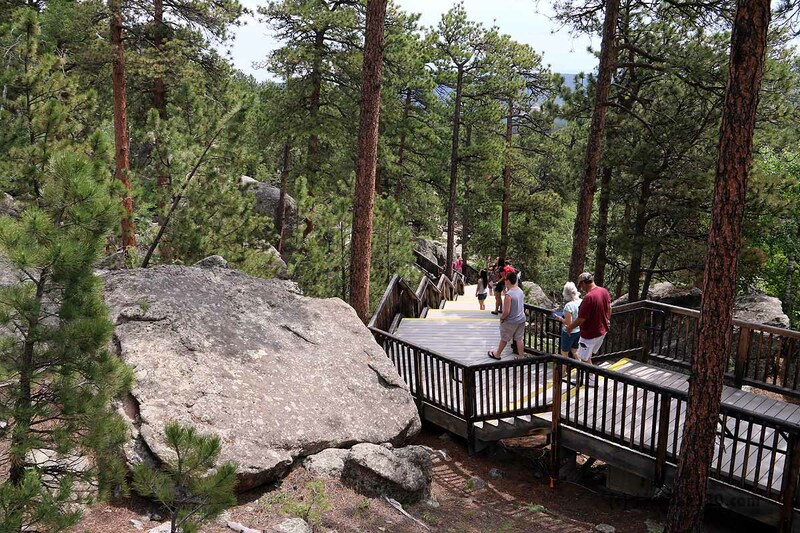 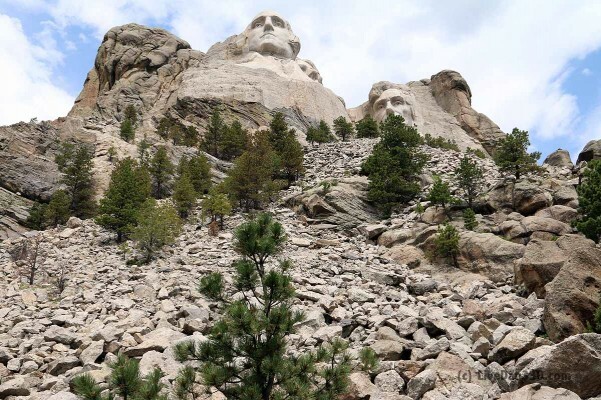 If you want to do some more exploring, you can walk the Presidential trail that leads up to Mt Rushmore. 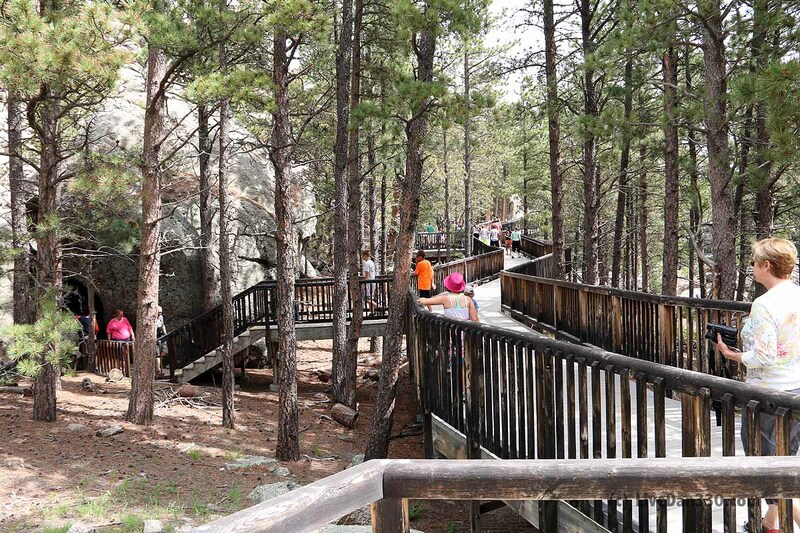 This is a 1/2 mile trail that is either stone walkway or decking. 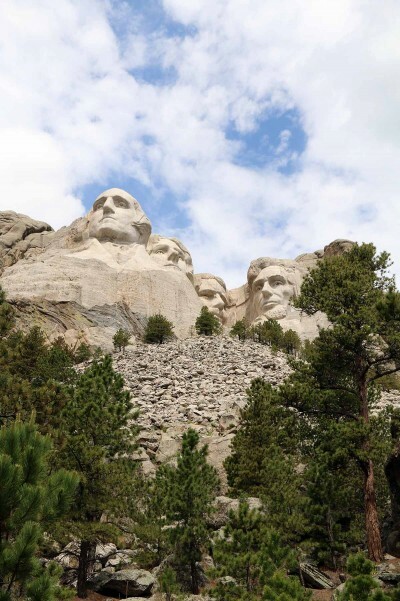 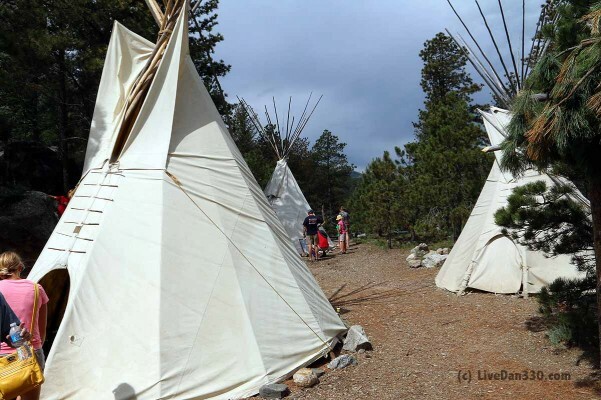 Starting on the left and going clockwise through the trail, you will visit a Lakota, Nakota and Dakota Heritage Village before coming right to the base of the monument, or at least to the base of the pile of rock that was left from carving it. 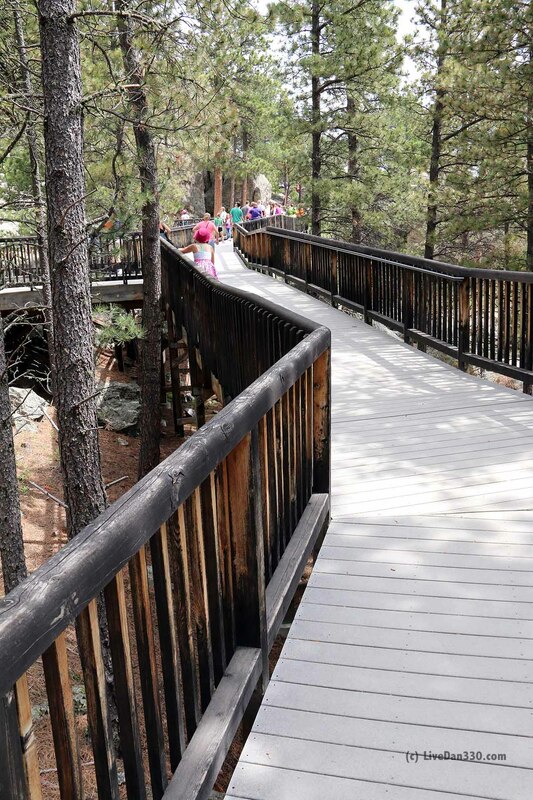 There are about half a dozen decks with wonderful views of the presidents while you enjoy this walk. Toward the end of the Presidential Trail, you pass by the Sculptor’s Studio & Bookstore before returning to Grand View Terrace. 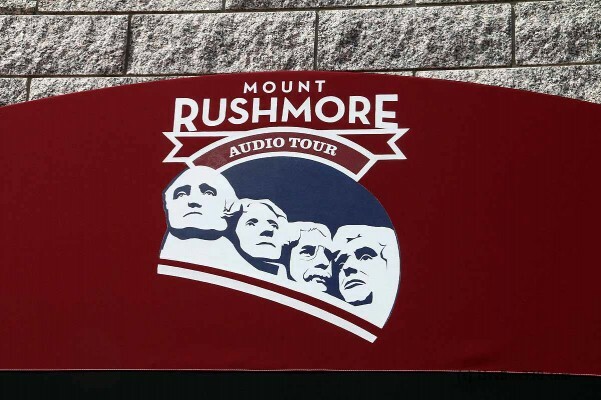 Your family needs to come see Mt Rushmore. It is a national treasure and your family will love the history and magnificence of the monument.